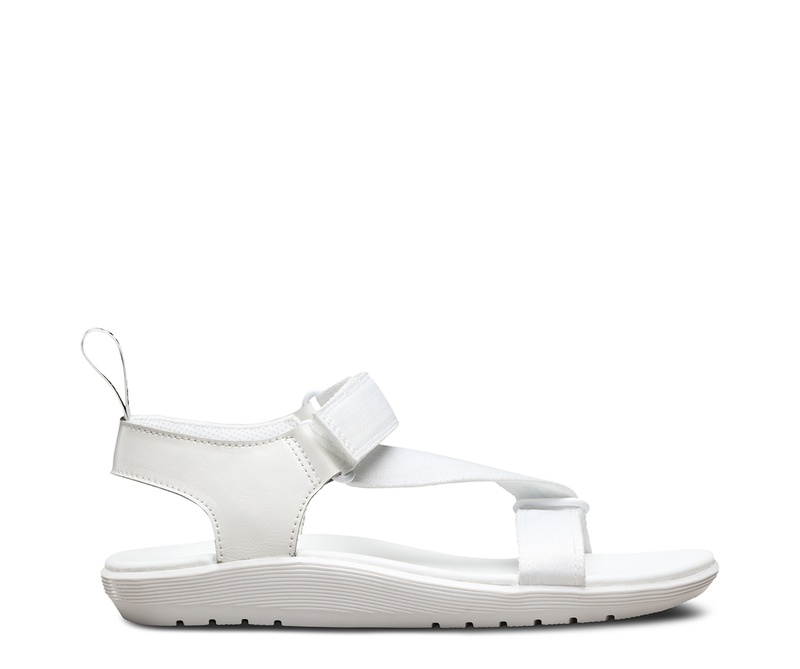 The Balfour is an easy grab-and-go summer sandal — made even easier with super-lightweight material. 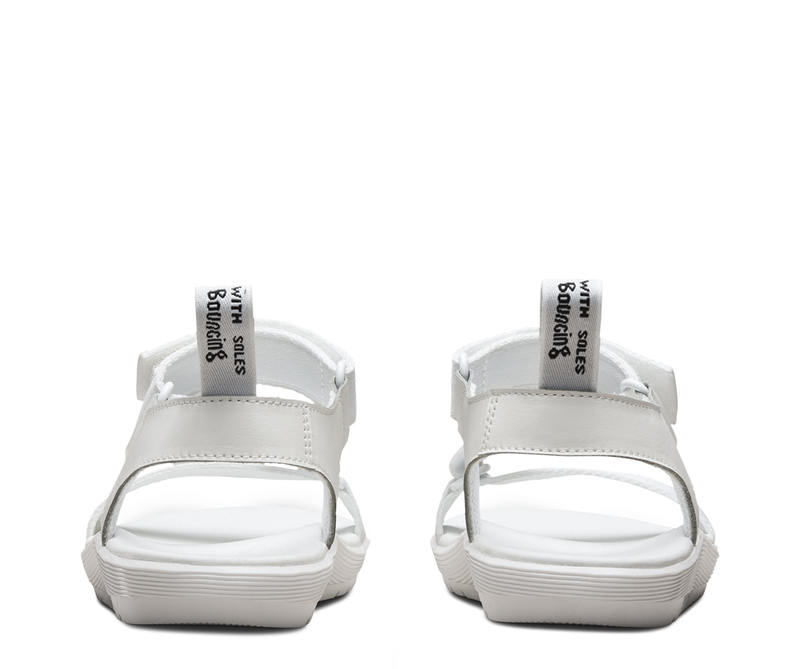 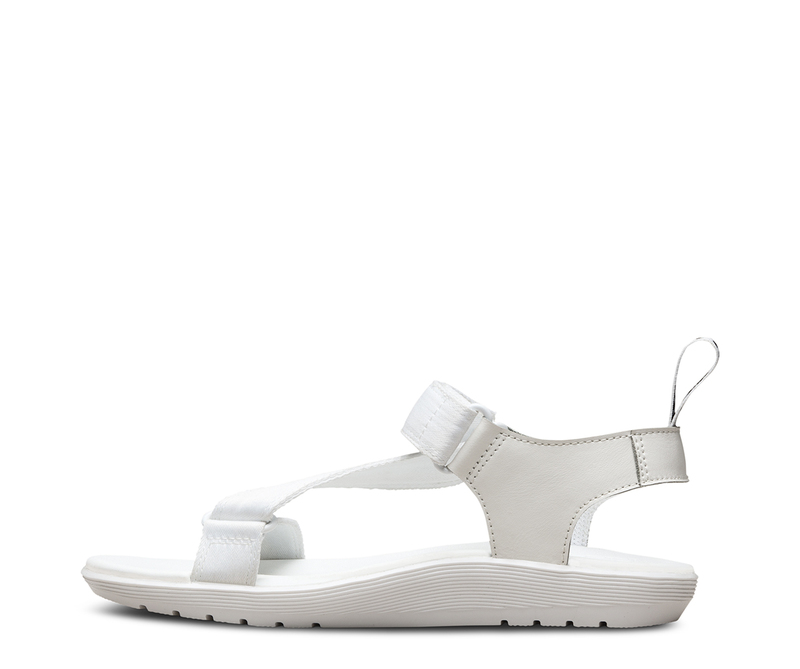 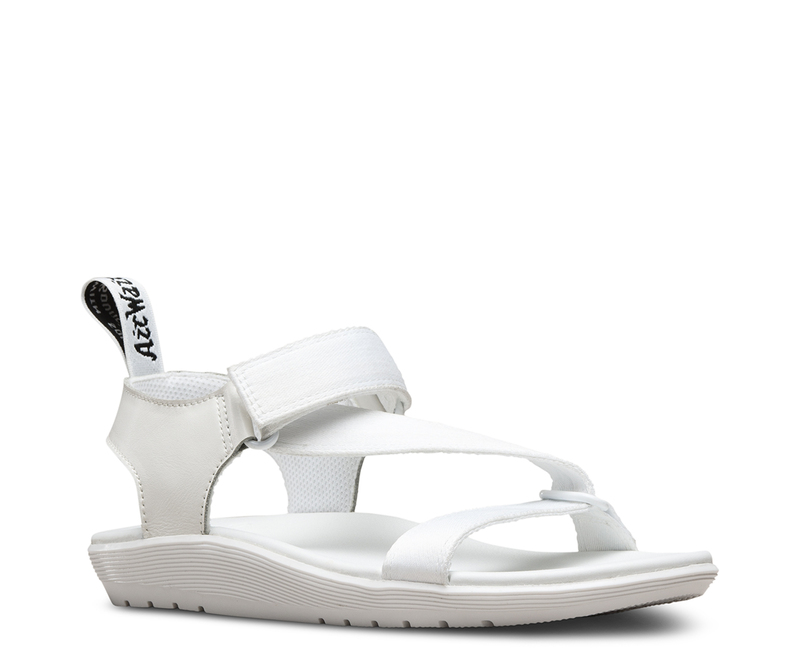 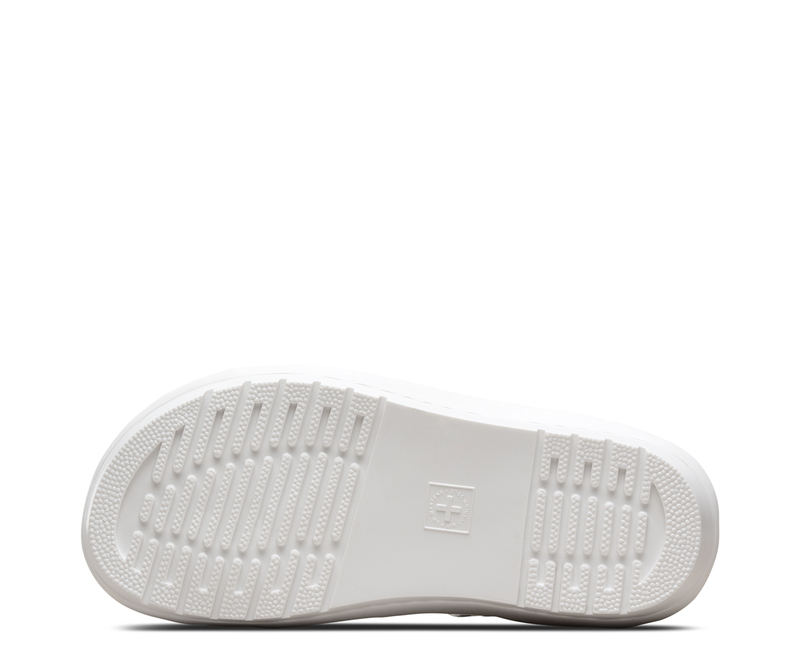 Made with a combination of the light, soft T-Lamper leather and nylon webbing, the sandal comes in a monochromatic white or with black straps and a contrast white sole. 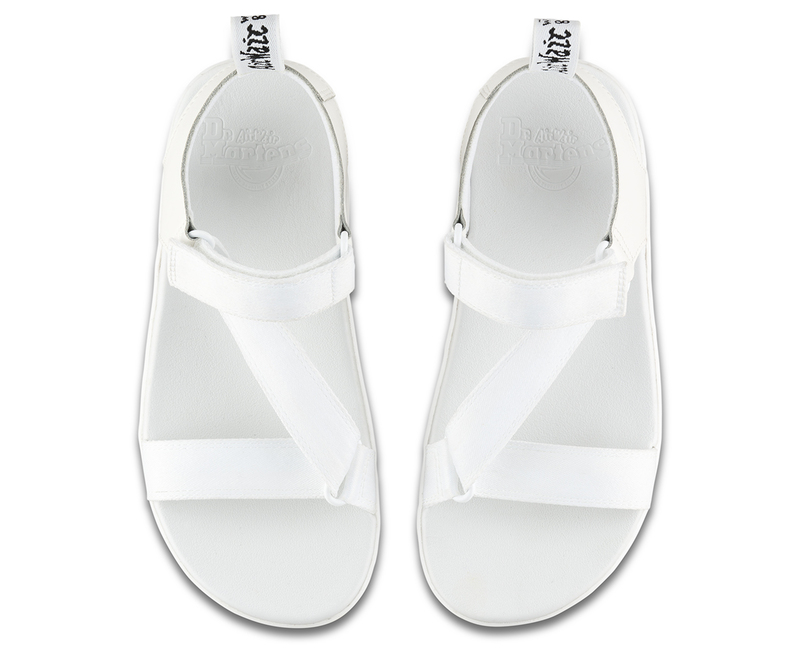 And the Balfour women's sandal is still all about classic Doc's DNA, like grooved sides, and a black-and-white heel-loop.